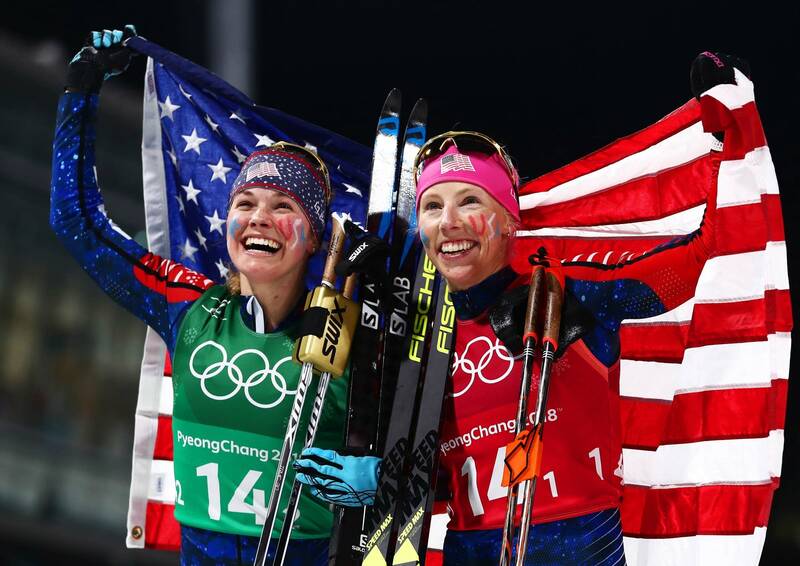 “Oh my gosh, did we just win the Olympics?” Jessie Diggins asked her teammate Kikkan Randall when they had just become the first Americans to win Olympic gold in cross-country skiing. I love their story! Fittingly, Diggins carried in the Stars and Stripes at the closing ceremony. The pair are the first Americans to win any medal in cross-country skiing since 1976. Their victory did not sink in until the medal ceremony. “That was when I felt like, ‘OK. We really get to keep these medals. That really happened,’” Diggins said. “I wasn’t ready for how emotional it was going to be seeing our flag raised. It’s literally never happened before. That was pretty cool to think about.